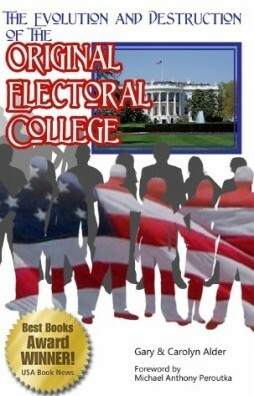 When the election of the President goes to the House of Representatives, the members act as a delegation representing their states, similar to the delegations from each state in the Continental Congress under the Articles of Confederation. This same structure was also used during the Constitutional Convention. The phrase in choosing the President, the votes shall be taken by States, the representation from each state having one vote shows the desire to retain the federal nature of the Union. The Representatives of the people, because they cast only one vote per state, act in the capacity of representing equally the will of the people of each state. If the vote were taken in the Senate (prior to the ratification of the 17th Amendment) the vote would represent the will of the government of each state. Another problem would occur if the deciding vote by state were taken in the Senate. Because each state has two Senators, the probability of a split vote is increased which would nullify the vote of that state. Small states have as much say as large states. The equal vote by each state preserves the principle of federalism. This demonstrates that the office of President is not to be confused with a king of the people. He is President of the Union of States. A majority of the states is required to elect a President, not merely a plurality. This is a majority of the states, not a majority of the population, or a majority of the Representatives. One caution: A state with an even number of Representatives, or Representatives who choose to abstain, could negate the vote of their state, making a majority of states more difficult to achieve. This system assumes that the “States’ men” are statesmen choosing a statesman to watch over the best interest of their nation, rather than fighting over personal, regional or political biases.